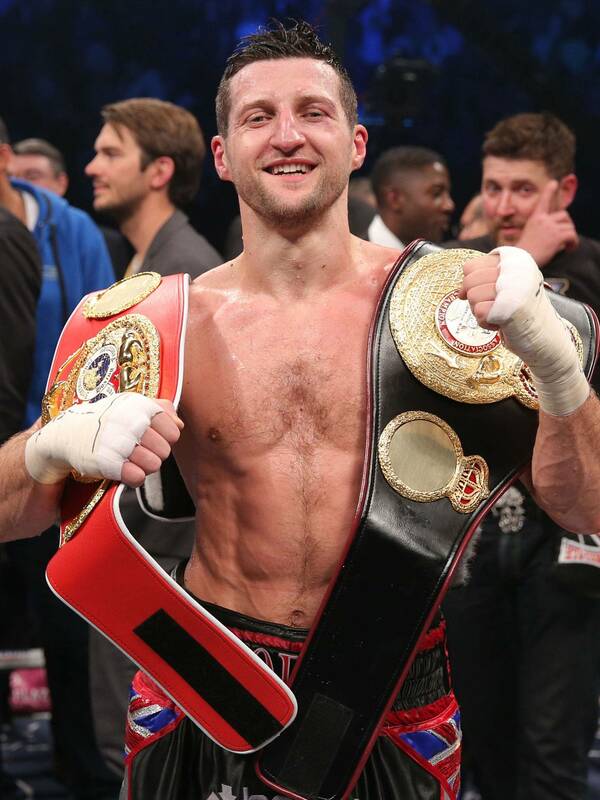 Carl Froch has not ruled out a rematch with George Groves but says his next fight will likely be against Julio Cesar Chavez Jr.
WBA and IBF super-middleweight champion Froch retained his belts by stopping Groves in the ninth round of their British superfight on November 23. The controversial nature of Froch's victory, in which he was floored in the first round and behind on the scorecards when referee Howard Foster stepped in for what many believe to be a premature stoppage, has prompted calls for him to give Groves another shot at the titles. Froch claimed he would be "happy" to face Groves again, but insists he would prefer to test himself against former WBC middleweight champion Chavez Jr in Las Vegas. "The fight with Chavez Jr is one of the five options that I do have and that's a fight that I can get motivated for, a fight that excites me," Froch told Sky Sports News. "Going over to America to fight in Las Vegas is something that all British pros with big aspirations to do big things in boxing (want to do). "To be on a pay-per-view channel in America - very, very few British fighters have done that. "So as an option for me, that is a realistic option and one that I'm very, very seriously considering. In fact, we're closer to that happening than the George Groves fight. "I will happily fight George Groves again, I'm happy to give him a return provided it makes sense and it's realistic. It's down to Eddie Hearn, my promoter, to make it happen and it's down to George Groves to be realistic." Last month Froch seemed to dismiss the idea of a rematch with Groves but now says he may well take on the Londoner after going up against Chavez Jr, who is scheduled to fight Brian Vera on March 1. He added: "If I've got two fights this year - and I usually do fight twice a year - one of those I think should be George Groves and one should be Chavez Jr.
"But probably not in that order, Chavez Jr is the next fight, the big fight that we're closer to doing. "I spoke to my promoter Eddie Hearn yesterday and that fight is pretty much nailed-on as being done and I'm happy with it." Groves has been campaigning relentlessly for a return bout ever since his loss in Manchester and Froch, after being played a video message which featured another challenge from the 25-year-old, was quick to deride the London fighter's claim that Froch no longer calls the shots. Froch said: "I'm bored of listening to his whingeing and moaning and cursing. You'll find out I do actually call the shots - I've got two world titles and he's not got any because I beat him and defended my titles. "Another thing which was spoken about was options and he's talking about all these options that he's got - he's got very, very few options, especially without those world titles. "I've probably got five or six options, but I've narrowed them down with my promoter Eddie Hearn to probably two."